bawlin’ goin’ on ‘round here. 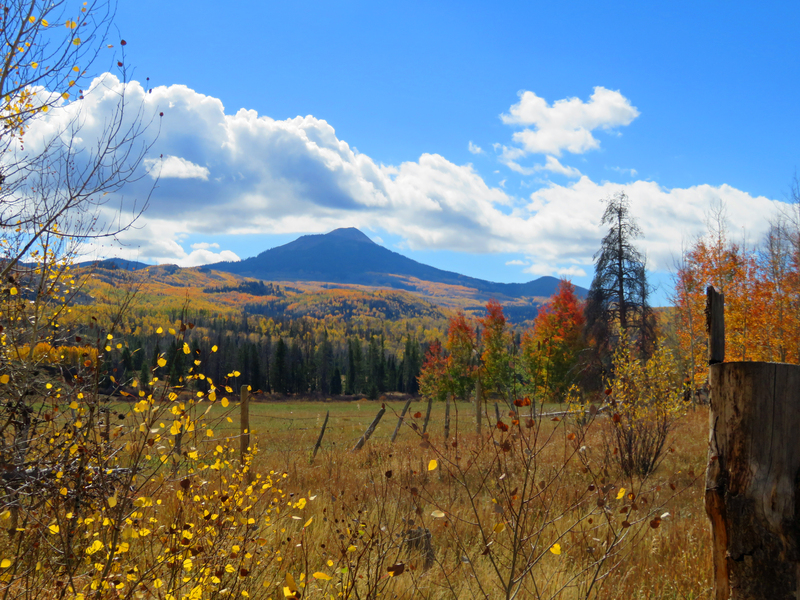 Fall, and the work is getting done. 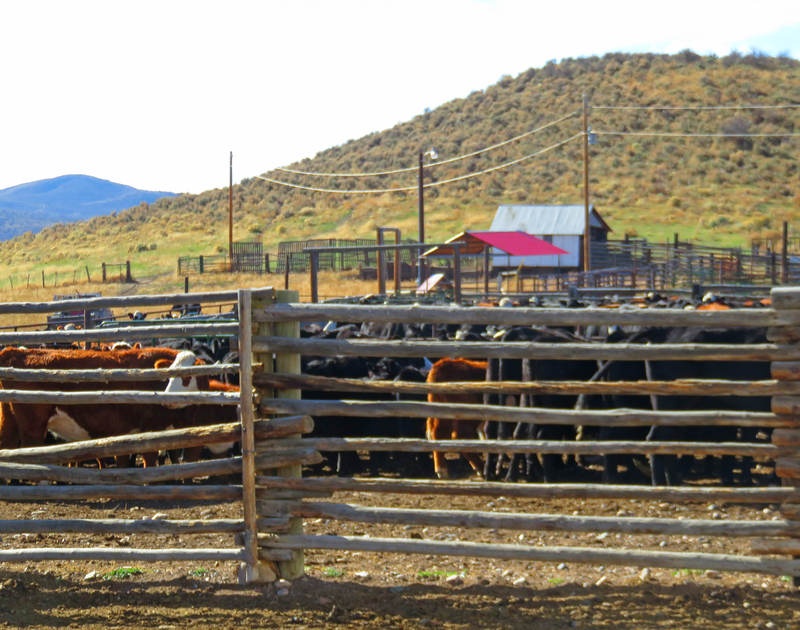 We’re sorting the cows and calves, and getting ready to ship the steers next week. 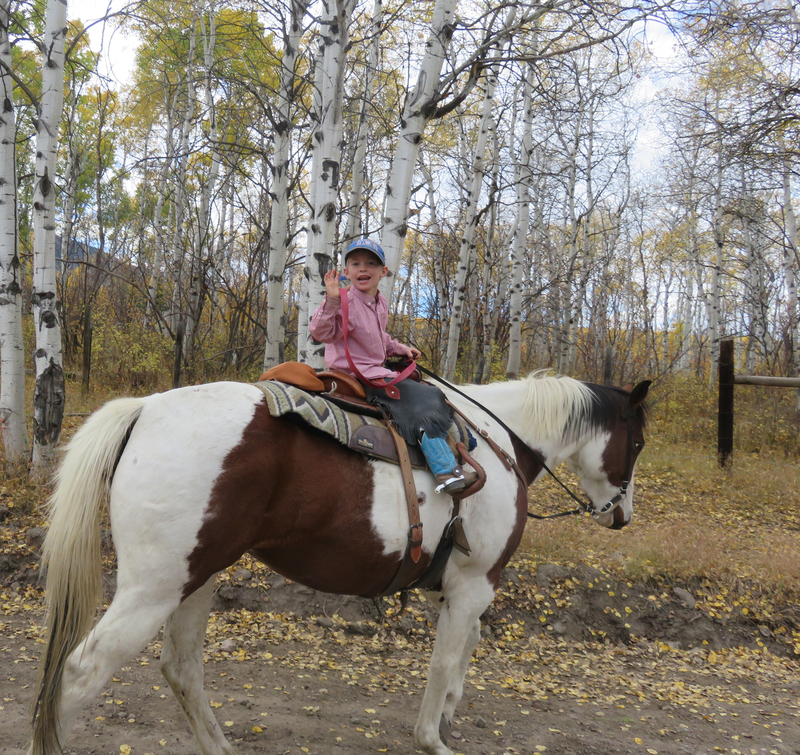 Rhen couldn’t believe that they could do it without him, so he waited for the cattle to come in, then rode with Aunt Meghan. 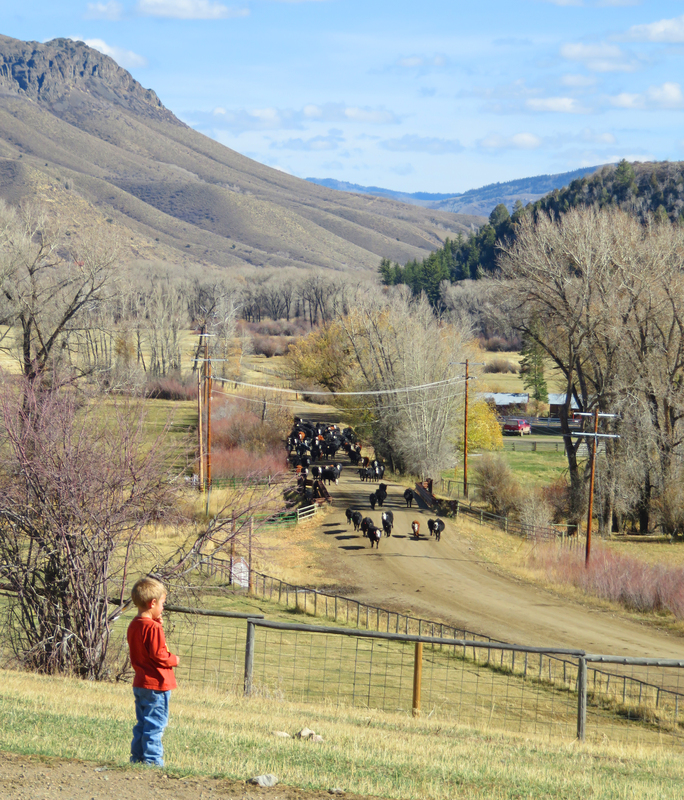 Rhen kept an eagle eye, just in case his Dad was behind those cows! 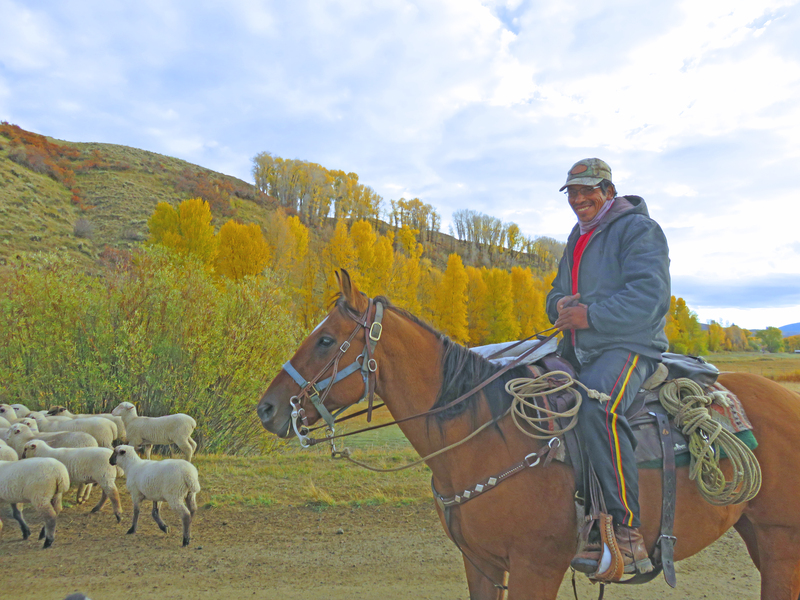 Every fall, we have what we call “the good old ewes.” These ewes are still sound, but aren’t quite up for another winter on the Red Desert. 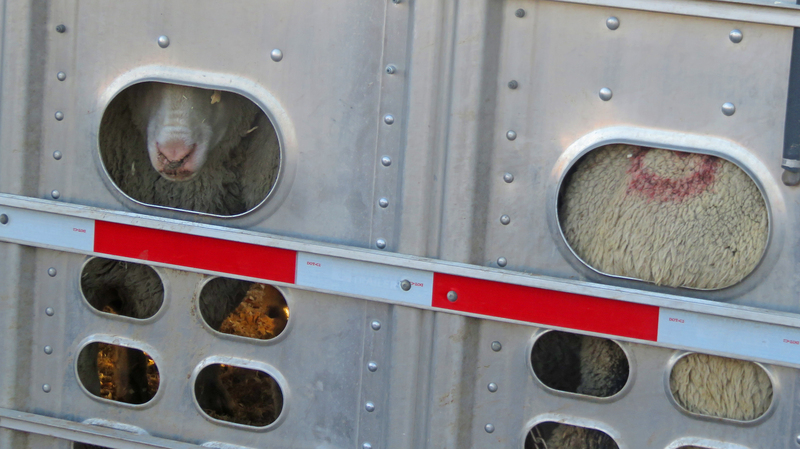 They are Minnesota bound. 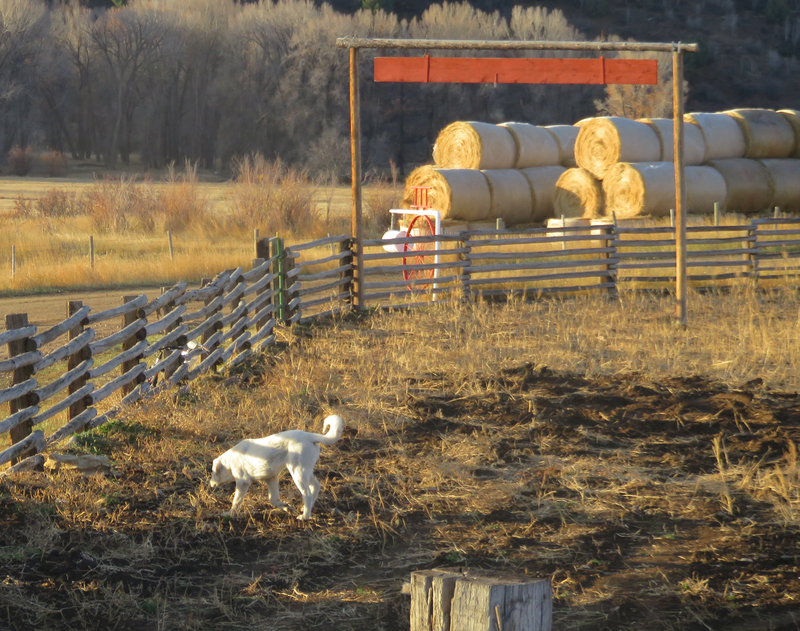 Sheep producers around Pipestone can offer them a comfier life at a lower altitude, with more shelter. 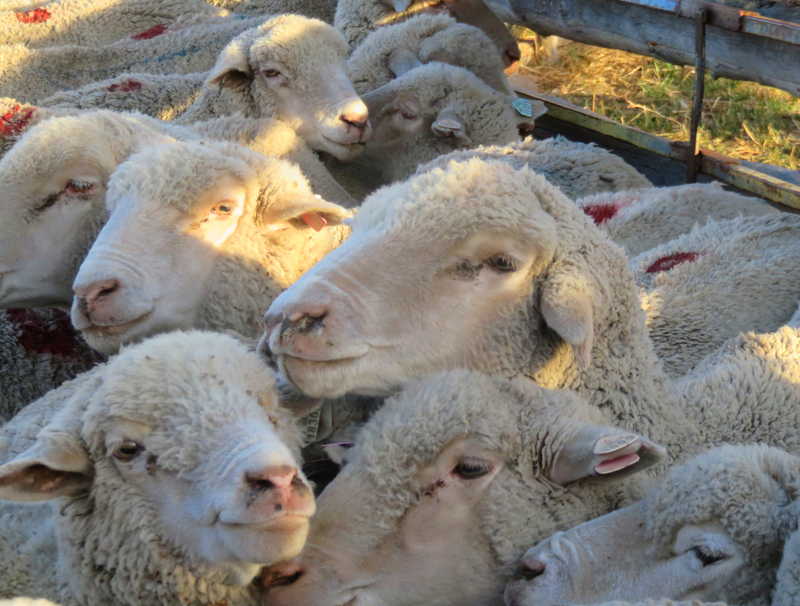 They will be able to produce lambs and wool for several more years. 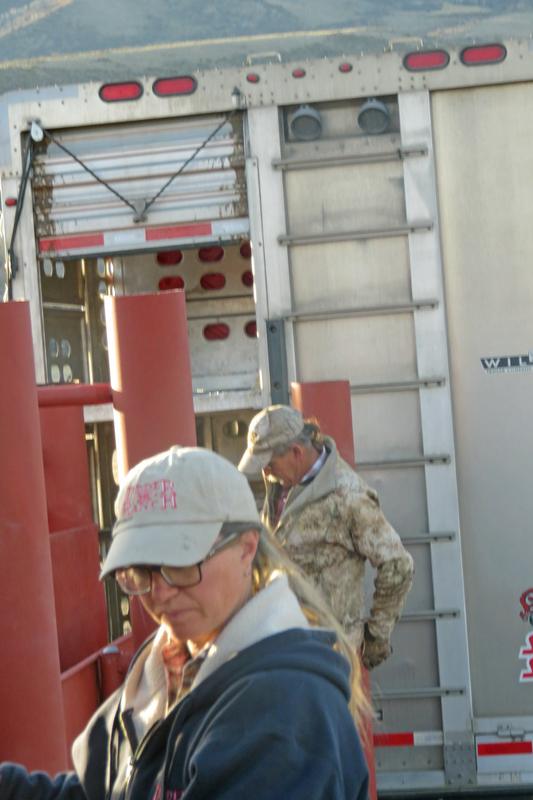 Ned, the brand inspector, and the trucker, loading. 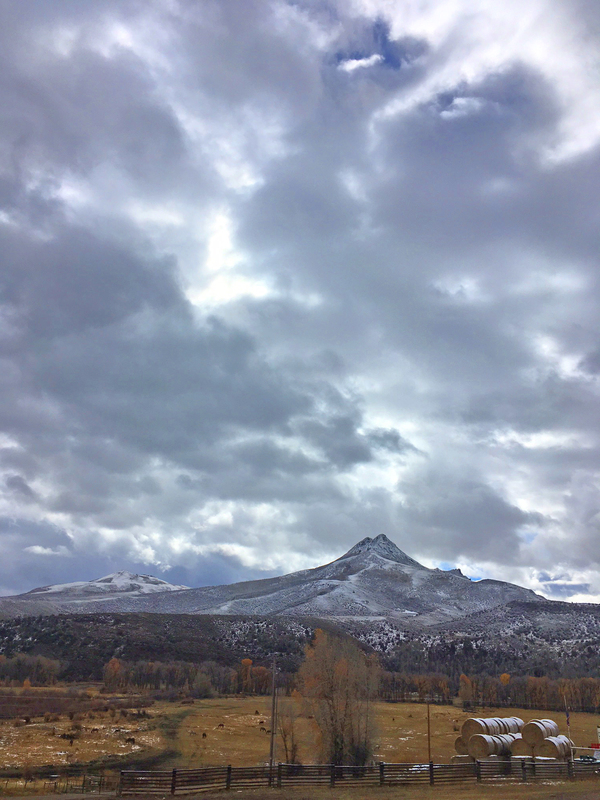 We got our first snow at the Home Ranch, and dramatic clouds there and at Powder Flat. It’s that time of year again. 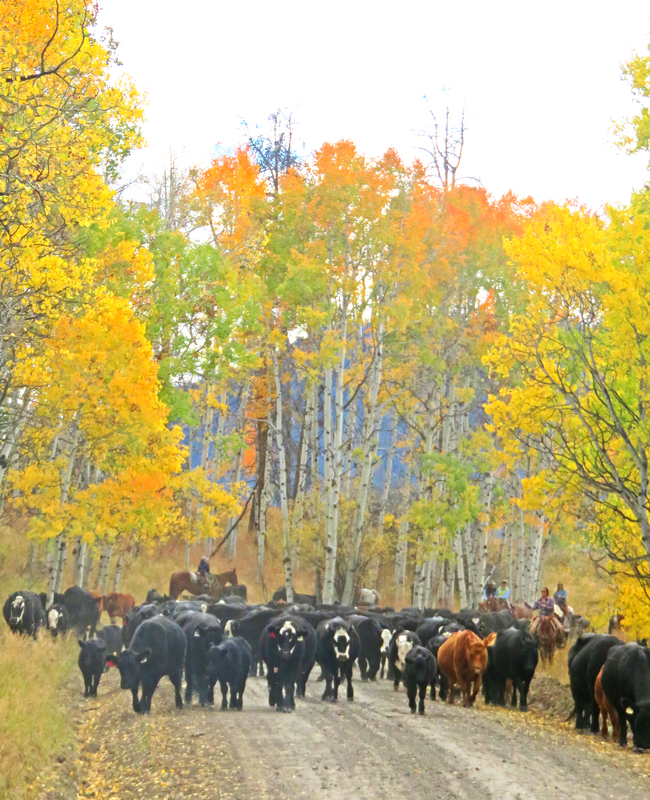 It seems like we were just trailing the cows and calves onto the Forest for summer grazing. Our “off-date” has rolled around already. 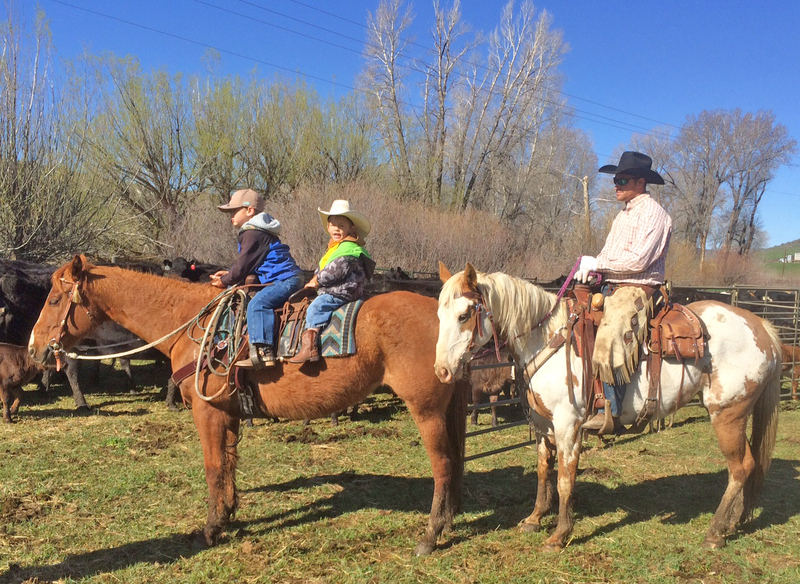 We mustered 19 horses and riders, including the six grandkids, to gather the cattle and bring them down to a lower pasture on private land. 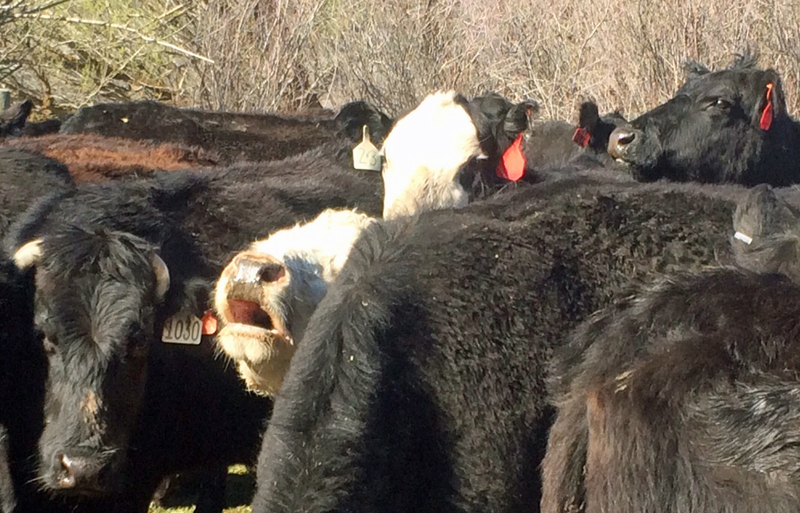 The calves are looking nice and chubby, and the cows are looking forward to weaning. 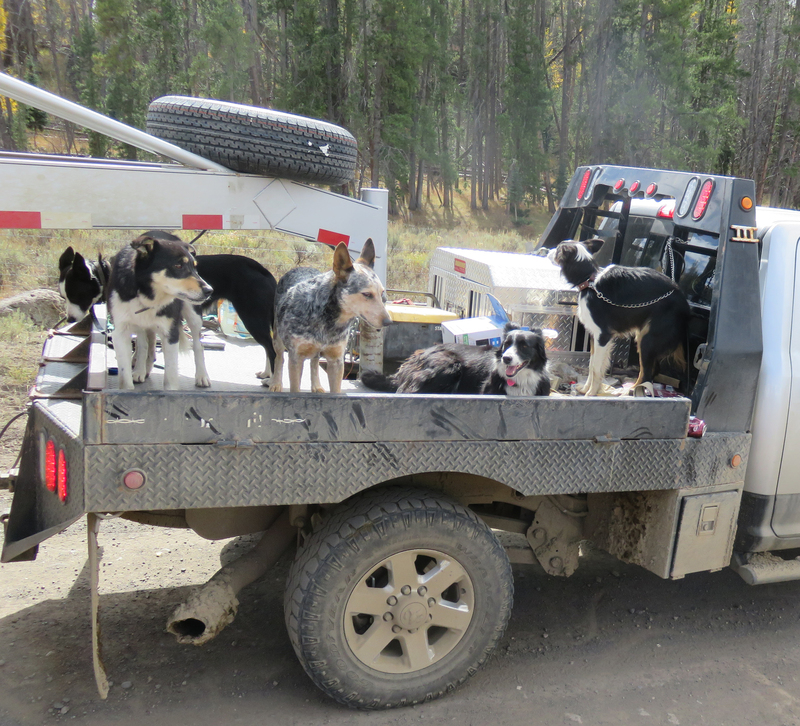 Eamon has dogs at the ready! 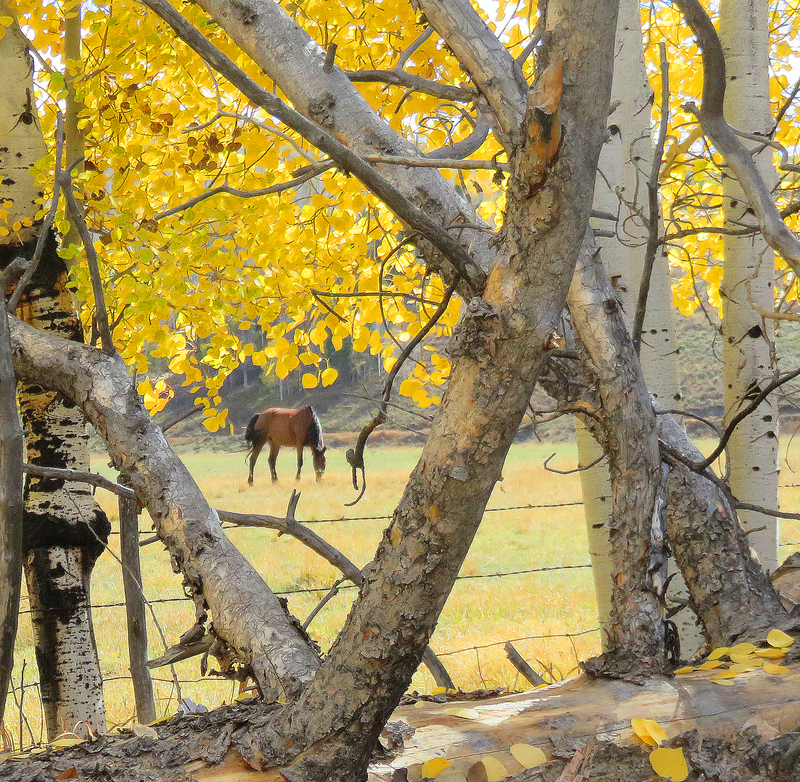 October 1st is the off-date for our National Forest grazing permits–Medicine Bow and Routt; sheep and cattle. 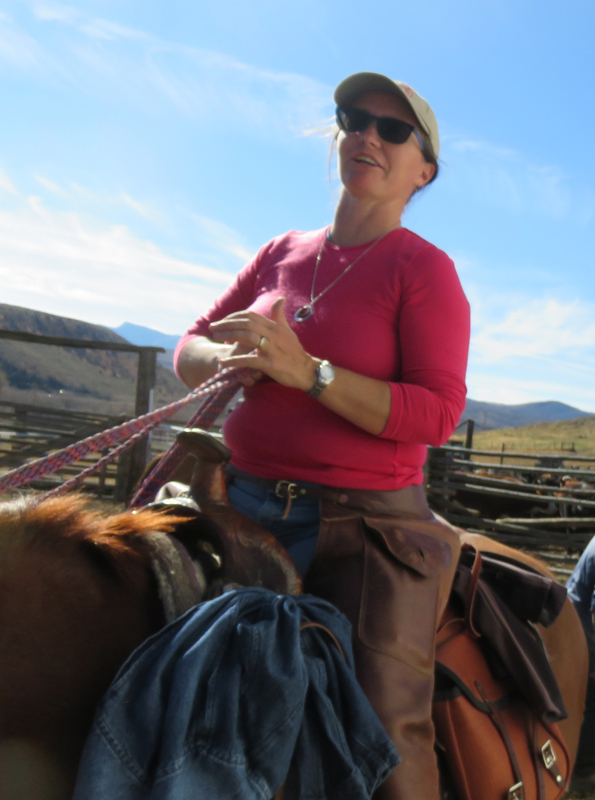 Since several herds are involved, we have to stage the trailing, in coordination with our Range Conservationists and neighbors, who are also trailing. 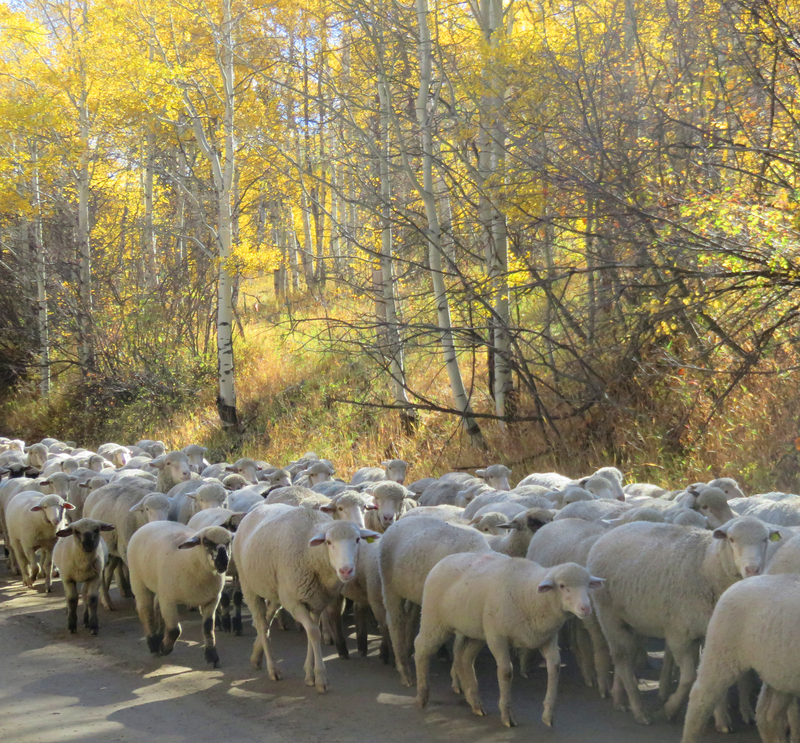 Here is one band of ewes and lambs heading down from summer grazing on the Routt. 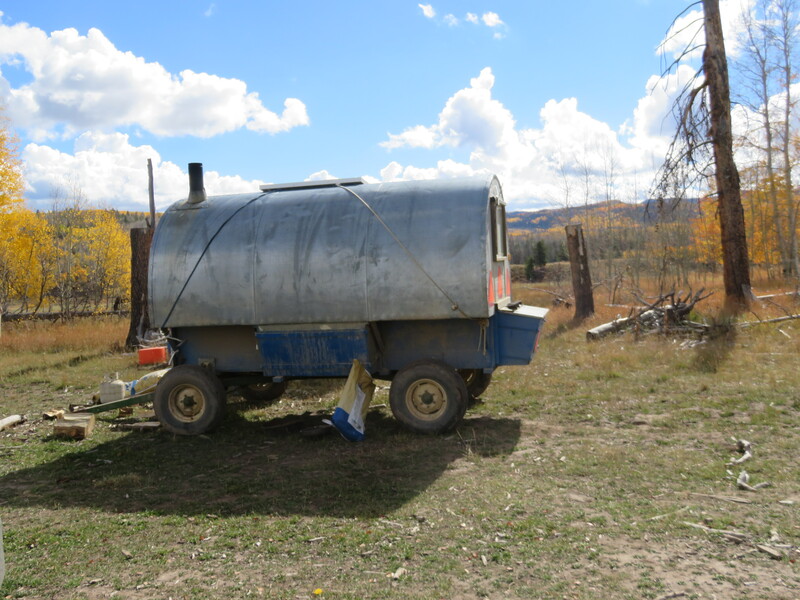 We dodged a couple of fires, and had to change our rotation, but all in all, it was a good summer. Thanks to all our crew and the federal folks who work with us. 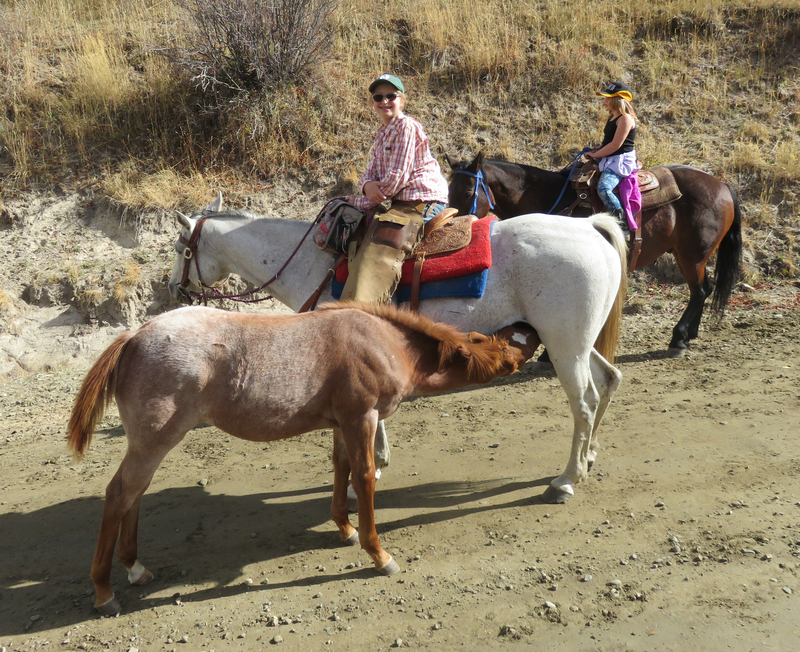 Patrick and Sharon O'Toole are ranchers in the Little Snake River Valley on the Wyoming-Colorado border. 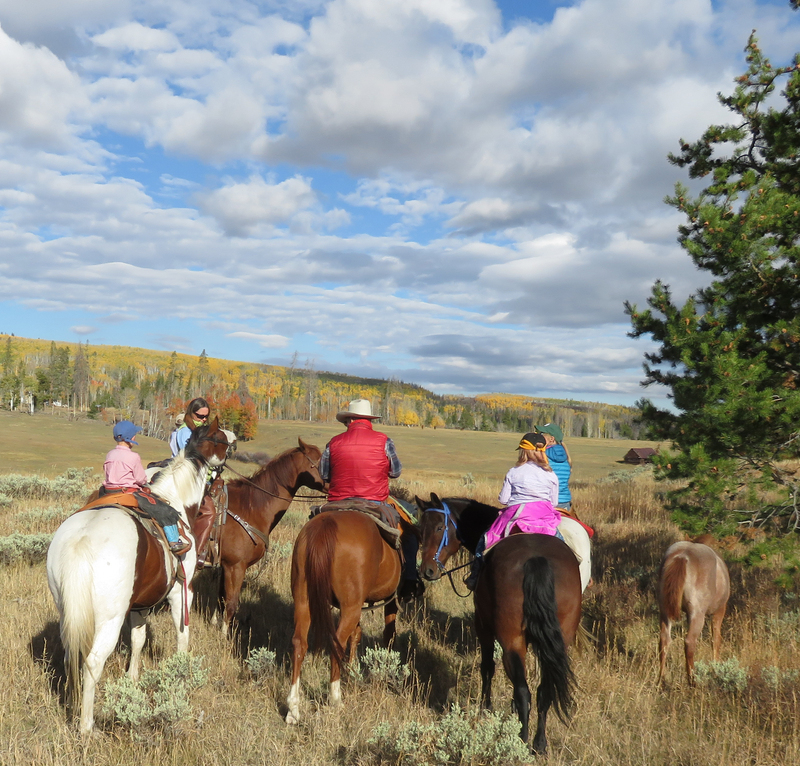 They represent the fourth generation on the six-generation family ranch. 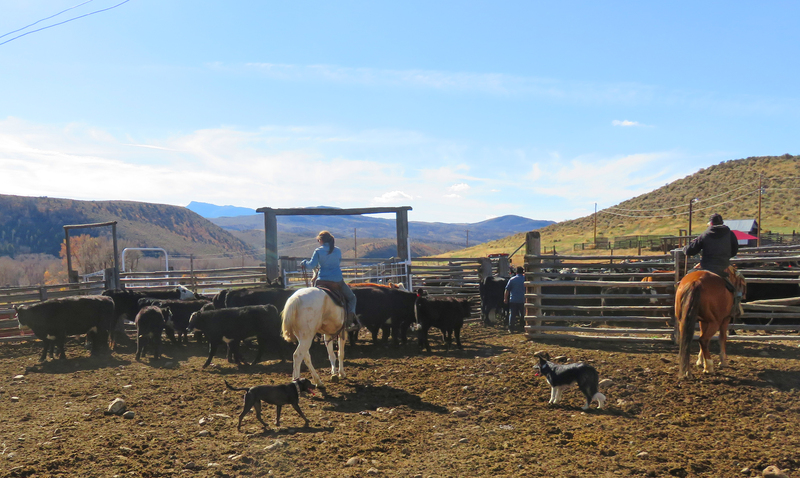 The O'Tooles raise cattle, sheep, horses, dogs and children on their high country ranching operation. 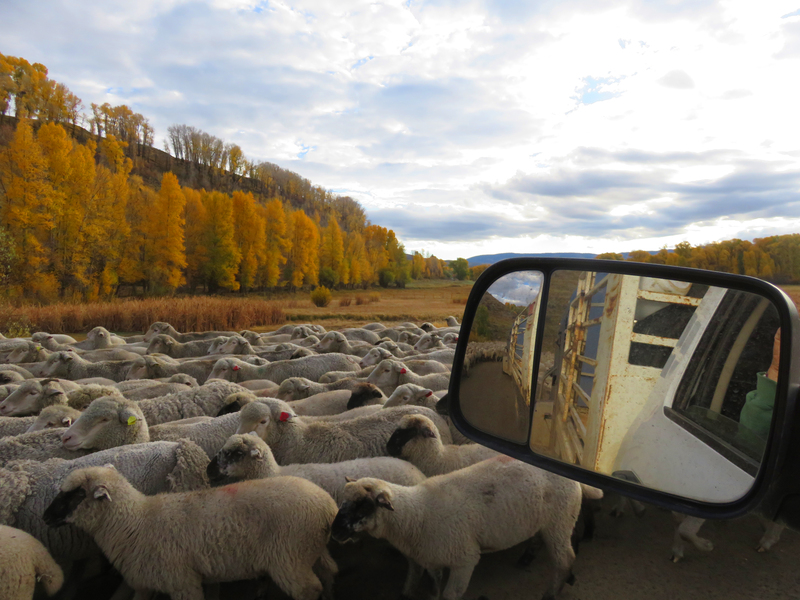 The transhumance operation stretches from north of Steamboat Springs, Colorado to Wyoming's Red Desert. 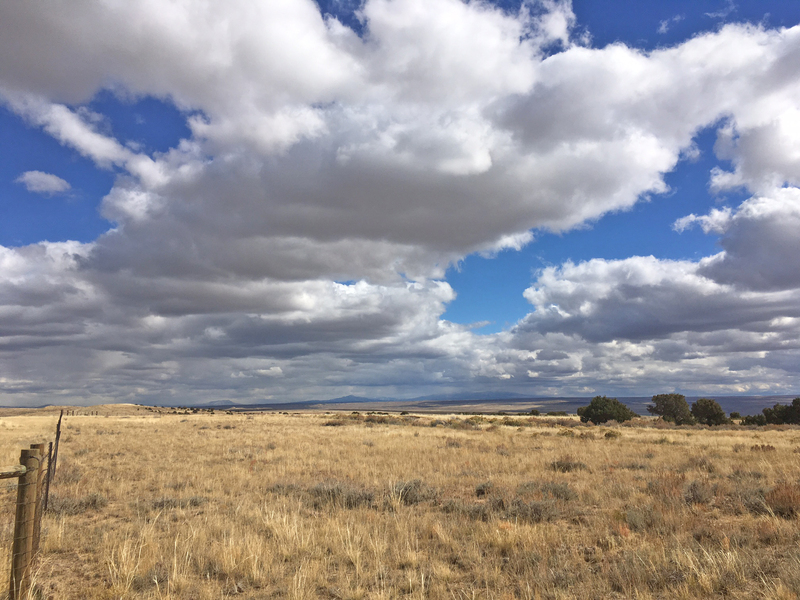 Pat has served in the Wyoming House of Representatives, the Western Water Policy Commission, and is currently President of the Family Farm Alliance, representing irrigators and water users in the western United States. Sharon is a writer and poet. 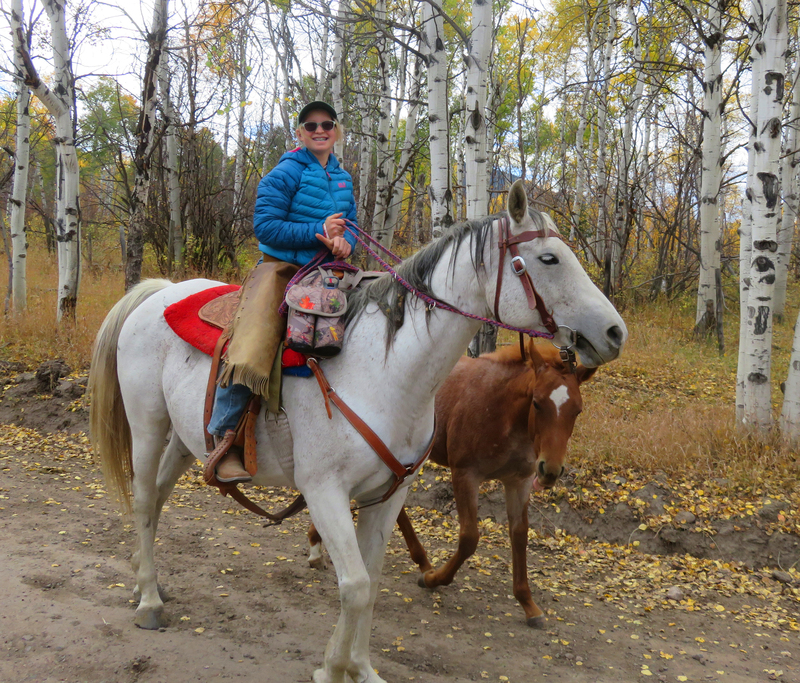 She writes extensively on western issues, and the relationship between landscape, animals and people. She is widely published as an author, essayist and editorial commentator. Sharon's father George, 89, passed away December 25, 2010. 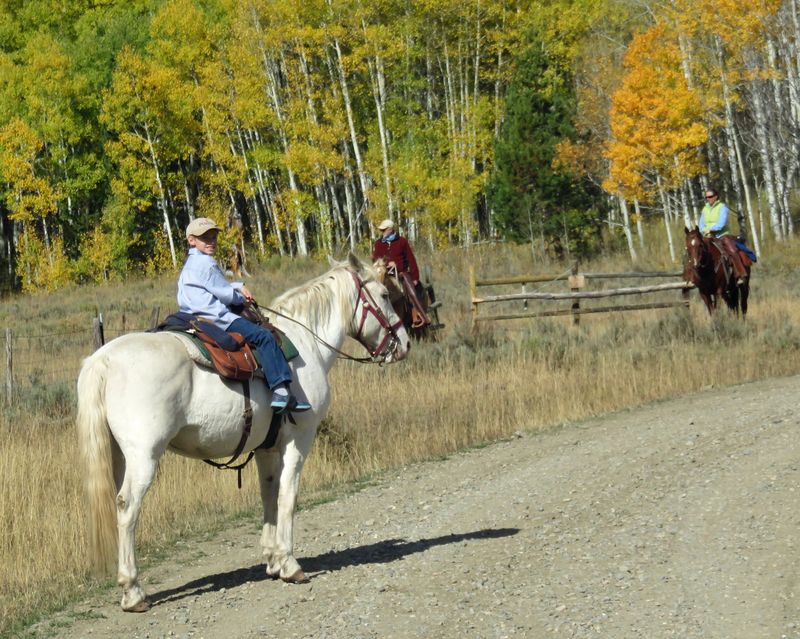 He lived much of his life in the house where he was born, and remained active in the day-to-day life of the ranch. 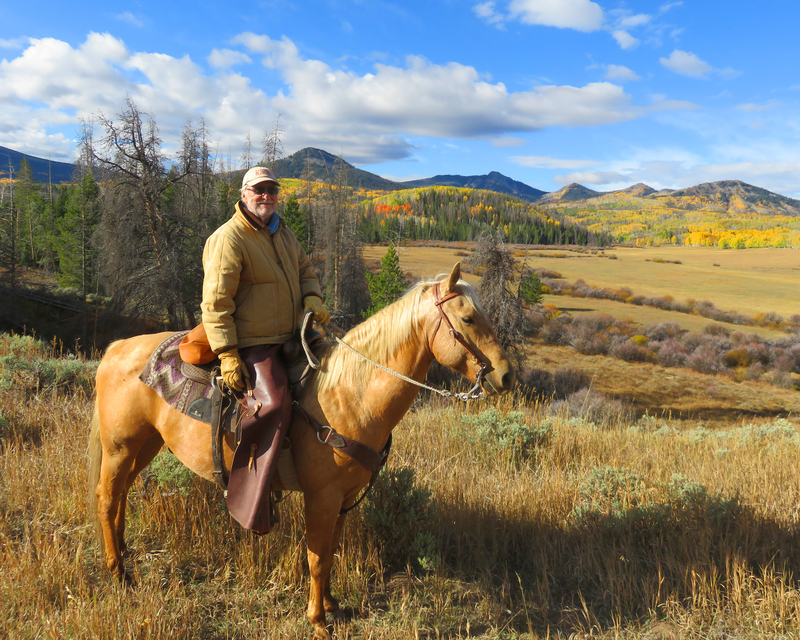 Mr. Salisbury was a decorated World War II veteran, a former member of Wyoming's House of Representatives, and former President of Wyoming's Board of Agriculture. Pat and Sharon have three children. Their daughter, Meghan and her husband Brian Lally, live on the ranch with their children, Siobhán, Seamus, Maeve and Tiarnán. 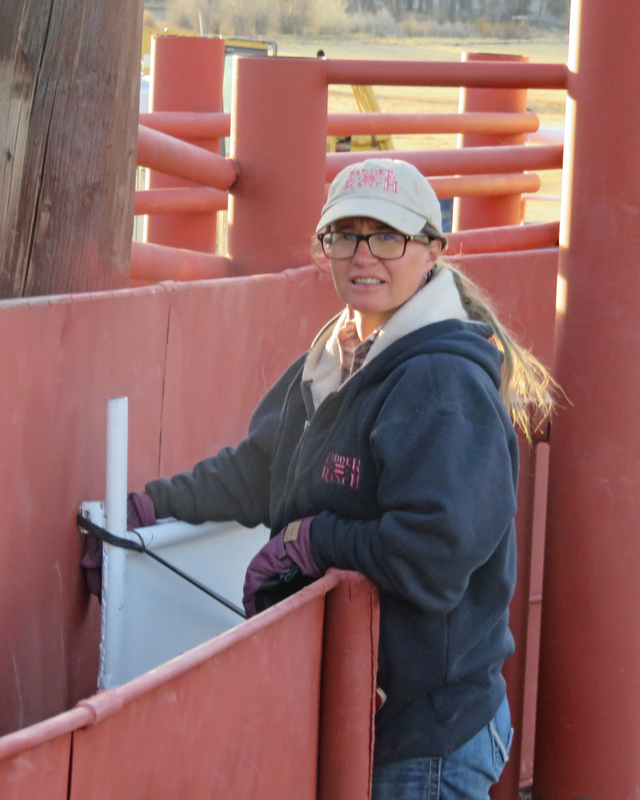 Meghan also served on the Wyoming Board of Agriculture, and she and Brian are active in community service. 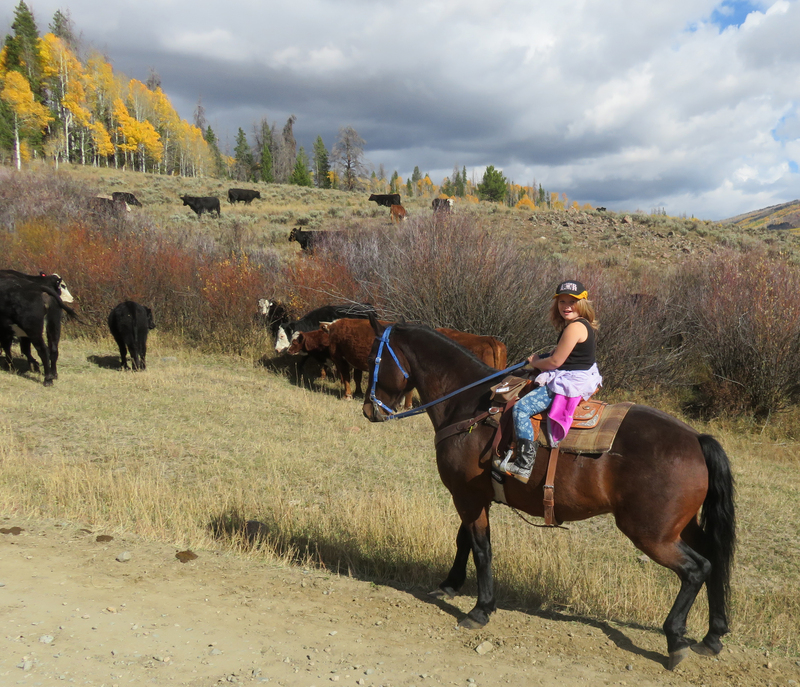 Daughter Bridget lives in Denver with her husband, Chris Abel, where she works in public relations and he serves agriculture in the food business. 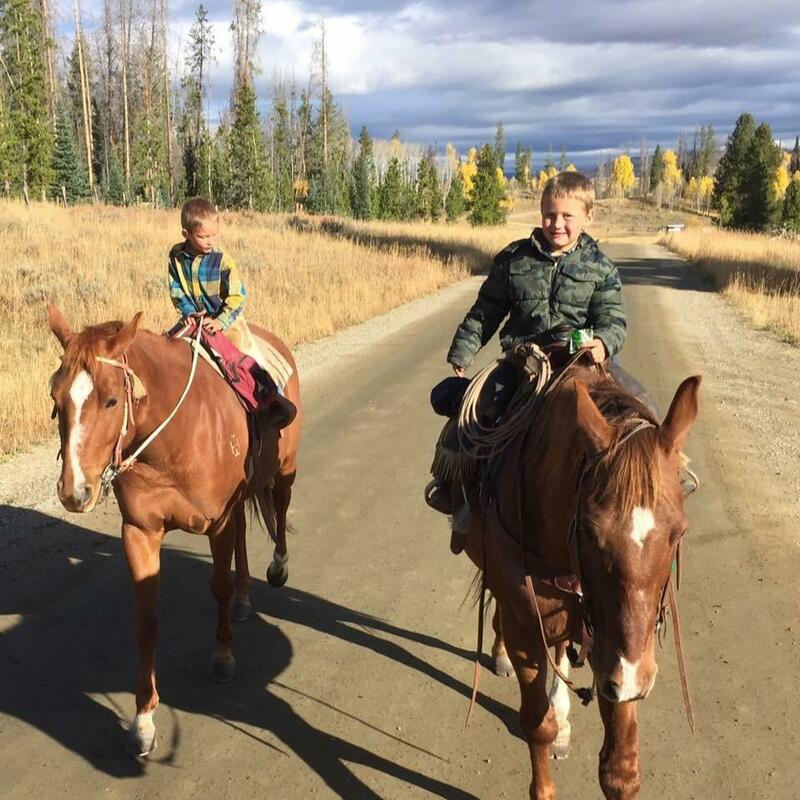 Son Eamon and his wife Megan live on the ranch with their sons, McCoy and Rhen. 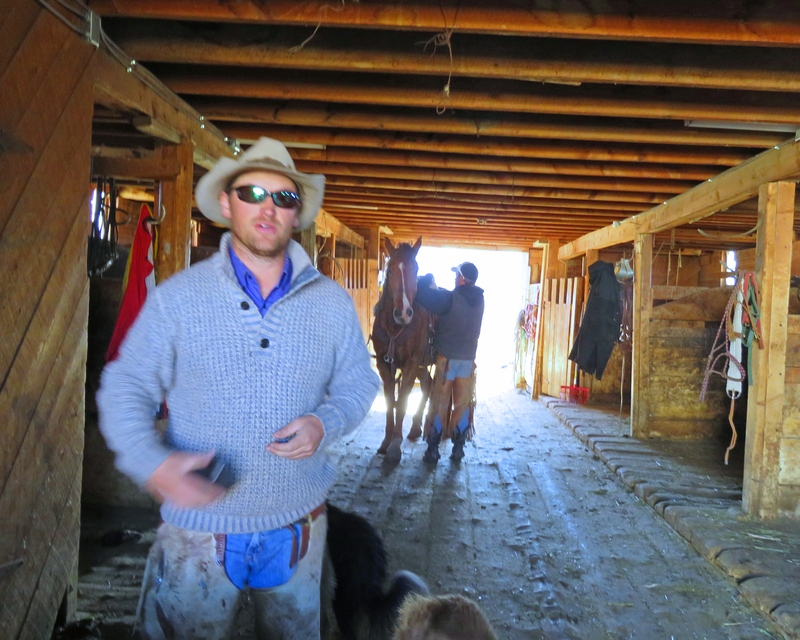 Eamon is a horseman and natural resource manager, and Megan is a nurse. 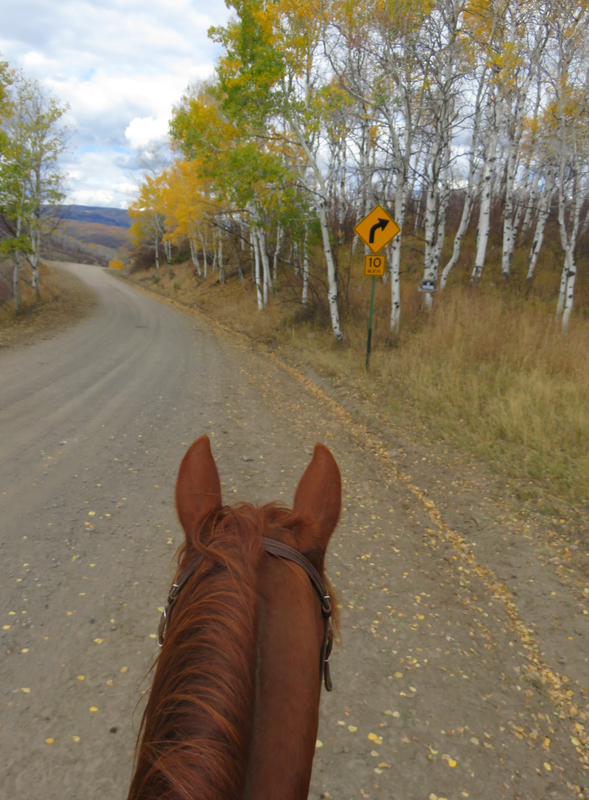 The blog traces the activities and life on the ranch, from the mundane to the fabulous.